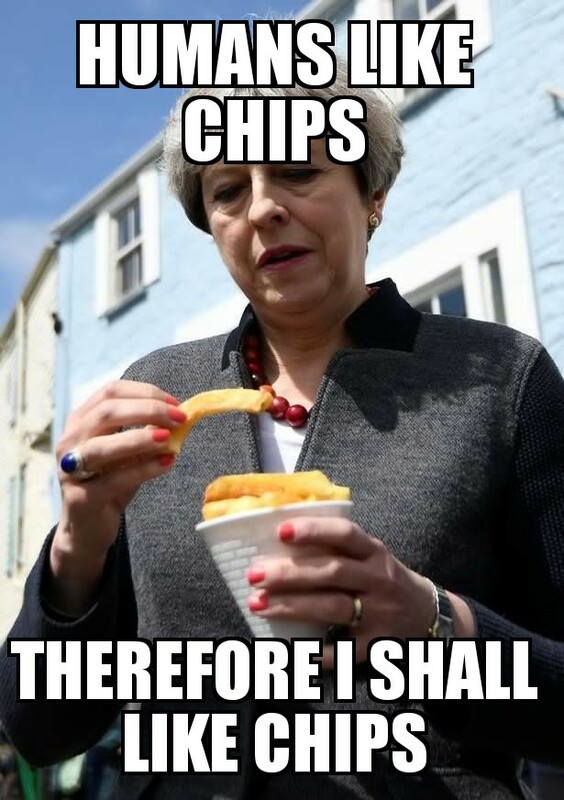 The government in their infinite wisdom have decided that now is the right time to call a General Election, since as anyone who was paying attention in 2016 will attest, asking the electorate to make decisions in their own best interests is something that always turns out well. 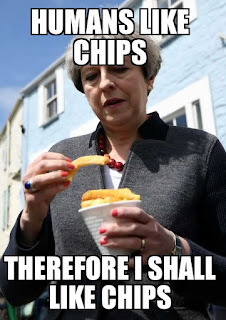 There is some speculation as to reason why the Prime Minister chose now to call an election, three years earlier than legally required (a plausible explanation is that it was a tactical move designed to solidify Theresa May's hold on power, as 30 sitting Conservative MPs face potential prosecution for electoral fraud in 2015 - MPs who, if found guilty, would lose their seats, triggering by-elections which might then result in the government losing their parliamentary majority). No doubt a tangled web of reasons is being woven in the minds of the powers that be even now, as the preposterous process of mediated campaigning gets underway, one to which you and I will never be privy, and probably wouldn't want to be, but down here in the so-called "real" world, time ticks along from one day to the next as lineally as it always has. The best thing to do, when you find yourself thinking too hard, is usually just to get off your arse and see what's happening wherever you happen to be. 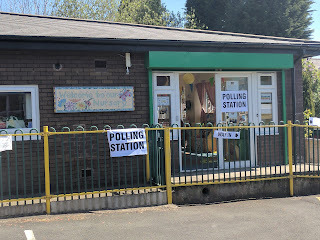 Thus, having learned just the other day that the office for my local Labour Party candidate had been set up just ten minutes' walk from where I live, on the first floor of a church building I walk past every day anyway, I thought I'd go and introduce myself, and find out what I might do to help him get elected. For the first time in my adult life I'm living in an actual "swing" constituency (the sitting Conservative MP won a majority of only 378 votes in 2015, and is, as I mentioned before, not someone I want making decisions that affect other human beings) and since joining the Labour Party in 2015 (yes yes, we'll talk about that some other time) and moving here at the back end of last year, this election will be the very first time I'll have the opportunity to cast a meaningful vote. (As an aside, I'm not sure I buy into this kind of logic entirely - every vote, after all, means something - but I'm sure you appreciate where I'm coming from). So, off I toddled down to the "Freedom Church", only to find the office empty. A sign on the door of the church, next to a sign that read "Please ring the doorbell", read, "Doorbell not working - please phone [this number]". A mildly kafkaesque beginning to my foray piqued my curiosity, so I took out my phone and rang the number. Nobody answered, so I hung up and considered my next move, while nothing happened. Then, something happened. A man came to the door beneath a baseball cap, sporting a youthful beard, and dressed entirely in tracksuit. I asked as to whether the Labour Party were available. He explained that they had just gone out, but would be back soon. (He introduced himself in passing, and without telling me his actual name, as "the minister of the church", which accompanied by his costume, demeanour and a cursory knowledge of evangelical Christianity, probably tells you everything you need to know about the church he ministers. This is, of course, irrelevant, but it's a curious choice of location for a campaign office). So that was that. Not much of a story, really. On my way home, I popped into my nearest polling station and voted for Andy Burnham in today's mayoral election. 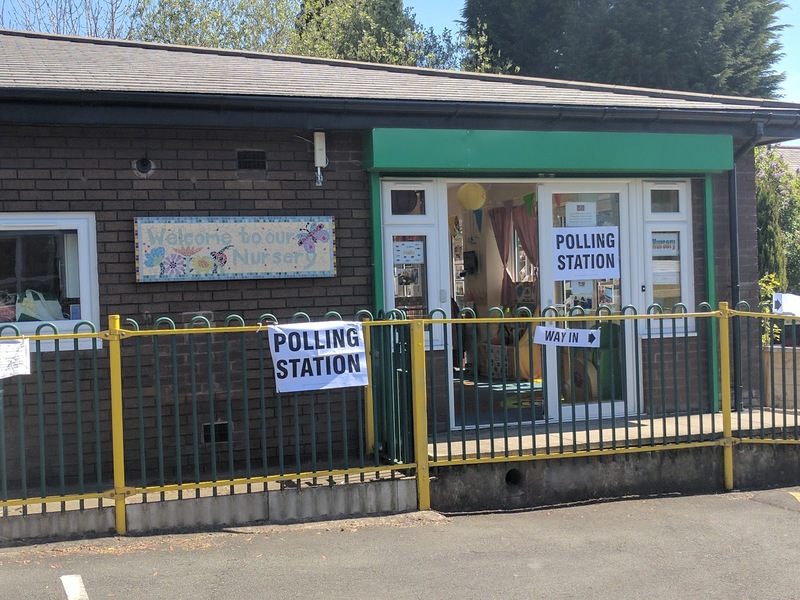 The polling station was in a primary school, with wooden mushrooms in the playground. I put an X in the box, and wandered off home. That'll have to do for now.